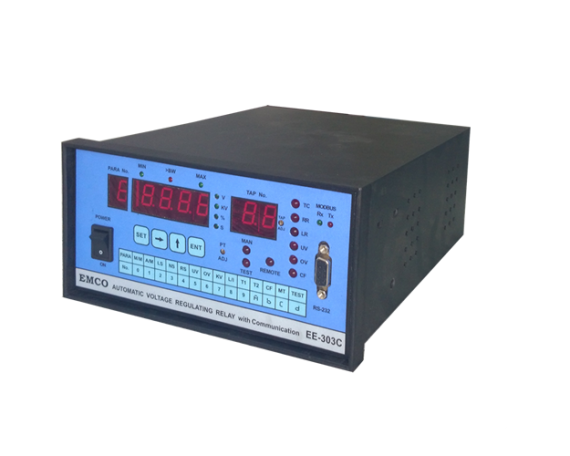 Emco Electronics’ Solid State Voltage Regulating Relay Type EE 301-M is designed for maximum operational simplicity for regulating the secondary voltage of power transformer with on-load tap changer. The dead-band (bandwidth) can be set by setting the nominal value (NVA) to the required value (110V + 10%) and then setting the L & R limits around the NVA within 0.5V to 5V. 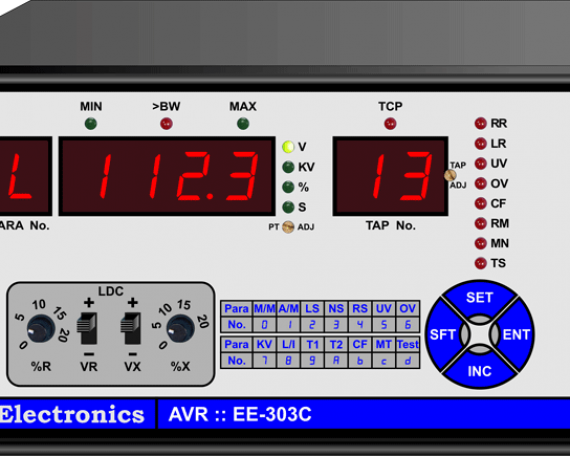 The desired time delay can be set on the front panel and the control action will take place only if the voltage continues to remain outside the dead-band after the time delay has elapsed. 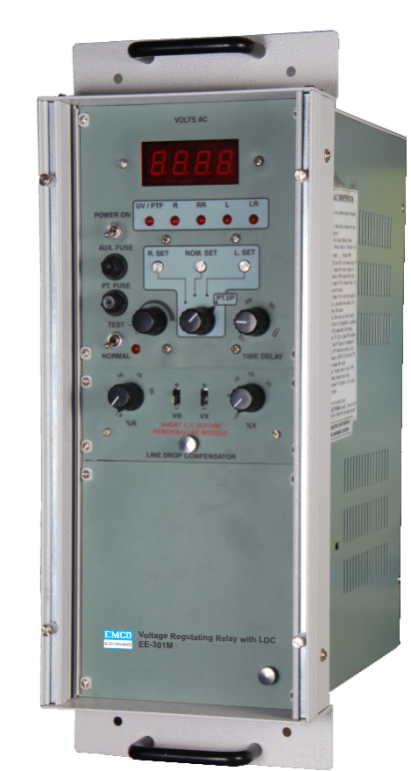 For voltage corrections requiring more than one tap change, time delay is initiated again before further tap change. 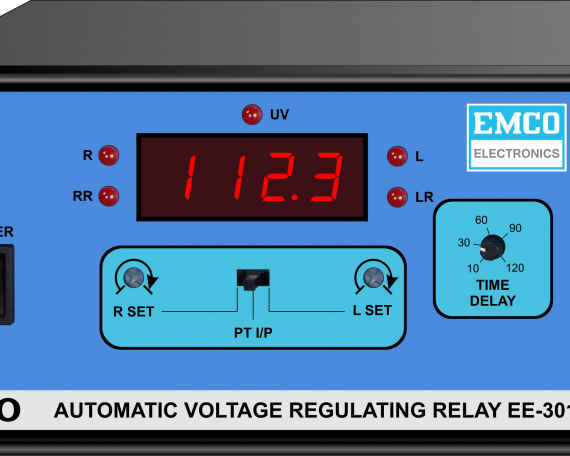 The relay is reset automatically after the voltage is brought within the selected deadband. 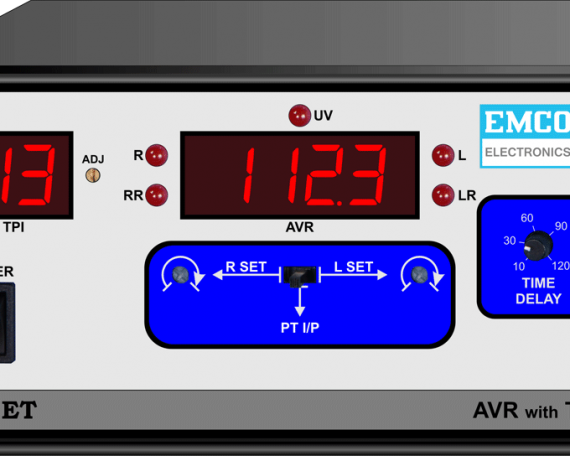 The time delay is effectively reduced to provide a voltage time integral response of the regulator for repeated short duration voltage fluctuations on the same side of the dead-band.